When a fantastic, short, focused presentation on sales & marketing alignment by my colleague Andy Quintana crossed my LinkedIn feed not too long ago, I was so impressed, I had to get in touch. That connection introduced me to Adrian and I soon found myself being guided through his process virtually from the other side of an ocean. The end product - my own (first) Mini-Webinar focusing on business storytelling - has been an exceptionally effective piece for me. Not only has it given me an opportunity to share some of the tools I use to help my clients, but it's provided a way of showcasing what I do that has prompted new discussions, created new connections, and reinvigorated longstanding relationships. Adrian is doing really awesome work! “Adrian produces highly effective recruitment campaigns". 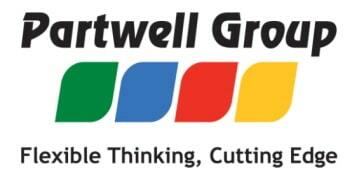 “Adrian has worked on multiple and varied marketing, sales and training projects across our two companies within the Partwell Group since 2014. He is creative in his marketing, effective in planning, has introduced new technologies and has been great at collaborating with our team and where required, facilitating group meetings”.